Qui Nguyen is the 2016 WSOP Main Event Winner ($8,005,310)! At the end of a grueling eight-hour heads up match, Qui Nguyen has written his name into poker's history books. 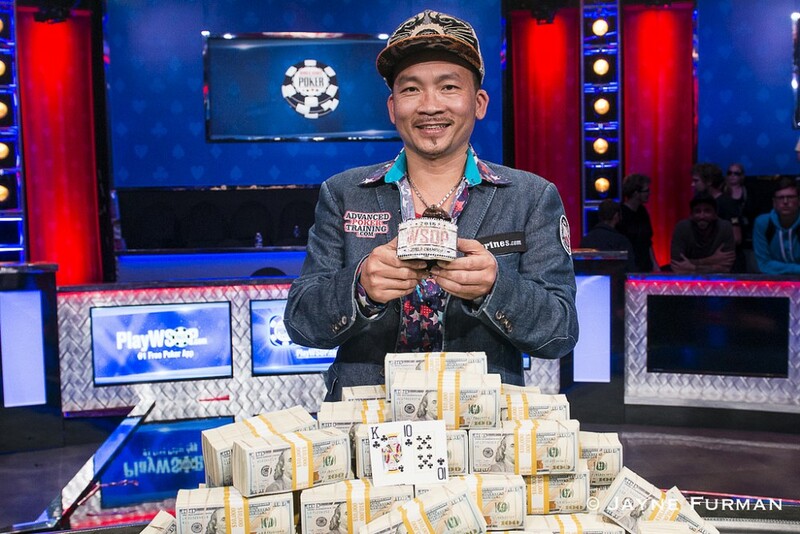 Nguyen won the 2016 World Series of Poker Main Event late Tuesday night, earning his first WSOP bracelet and $8,005,310 for his victory. And for the next year, he will be poker's reigning world champion. Qui Nguyen (pictured above) raises to 8,500,000 on the button and Gordon Vayo (pictured below) moves all in for 53,000,000 from the big blind. Nguyen quickly calls. Vayo shows and is dominated by Nguyen's . The crowd rises to their feet in anticipation of the flop and the respective cheers begin. The flop is and Nguyen flops top pair, but Vayo flops a double gutshot straight draw. 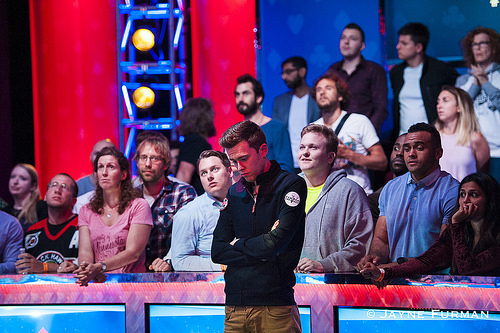 Vayo needs to hit an eight or a queen to double up again and continue this heads-up match. "Pair the board!" yells the fans on Nguyen's rail. The turn is the and Vayo is one card away from a runner-up finish, while Nguyen is one card away from more than an $8 million first place prize and a Main Event title. The river is the and the fans erupt in celebration. Nguyen drags the pot with a pair of kings and Vayo is eliminated in second place. Vayo takes home $4,661,228 for his second place finish. Nguyen is the newest Main Event champion. He takes home $8,005,310 along with his first WSOP bracelet and his name etched into poker history. A full recap of the day's action will be posted shortly. Gordon Vayo moves all in for 49,500,000 on the button and Qui Nguyen folds his big blind. Qui Nguyen raises to 8,500,000 on the button and Gordon Vayo folds his big blind. Gordon Vayo moves all in on the button for 49,500,000 and Qui Nguyen folds his big blind. Qui Nguyen limps in on the button and Gordon Vayo moves all in from the big blind for 46,000,0000. Nguyen folds and Vayo takes it. Qui Nguyen gets a walk in the big blind. Gordon Vayo gets a walk in the big blind. Gordon Vayo moves all in on the button for 42,500,000 and Qui Nguyen folds his big blind. Qui Nguyen moves all in on the button and Gordon Vayo folds his big blind. 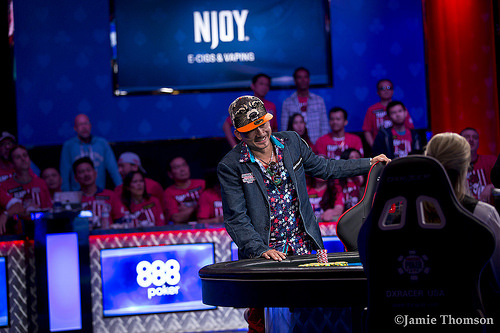 Qui Nguyen raises to 8,500,000 on the button and Gordon Vayo moves all in for 50,000,000 out of the big blind. Nguyen gets an exact count from the dealer and then takes another few moments before folding. Gordon Vayo moves all in from the button for 46,500,000 and Qui Nguyen folds his big blind.